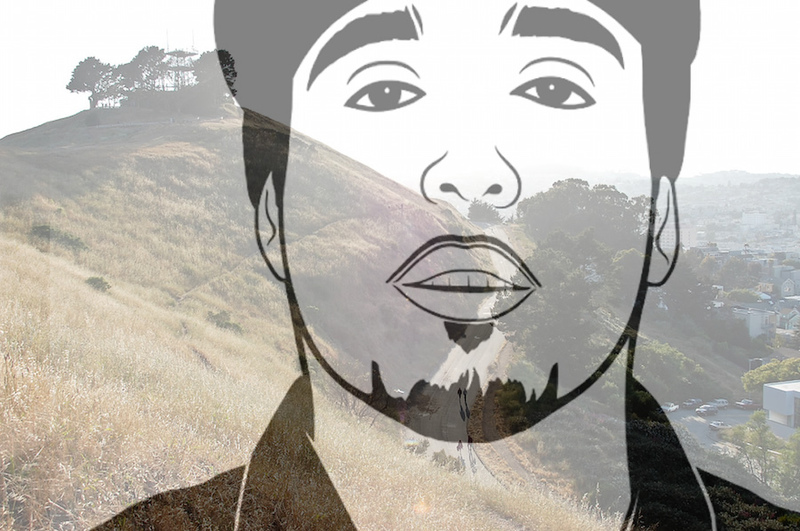 Last week, the civil trial pursued by the family of Bernal neighbor Alex Nieto against the San Francisco Police Department got underway to determine if police wrongfully killed Alex Nieto during a March 21, 2014 officers-involved shooting on the north side of Bernal Hill. “As we got out of car, he took what we call a boxing stance,” Schiff said, getting up to show the jury how Nieto allegedly raised his arms to his chest. Schiff said he saw the pointed weapon and the red laser beam before he began shooting, and stopped when [SFPD training sergeant Jason] Sawyer instructed him to cease fire. Schiff said he continued to fire even after Nieto went down because Nieto ended up in a “prone position,” still facing the officers and appearing to point the Taser. Theodore — a Trinidadian singer with the group Afrolicious — said that Nieto had his hands in his pockets the entire time and did not make any movements towards his waist. He also said the only command he heard from officers was one “Stop,” before they started firing and said he heard nothing from Nieto, a contradiction of police testimony offered on Wednesday. Baumgartner repeatedly questioned Theodore about a deposition she took from him in May 2015, in which some of his answers were purportedly different than the ones he gave in court. Theodore had not gone to police to give a statement in the immediate aftermath of the killing — he said he was scared of them and didn’t trust them — and city lawyers have suggested he is biased against law enforcement. Asked Friday whether he had ever spoken with an investigator from the offices of the Nieto family’s attorney, Theodore replied, “No.” But Baumgartner read a transcript from the deposition in which Theodore recounted speaking with the investigator on three occasions, once in person and twice on the phone. Baumgartner also indicated that, in the deposition, Theodore had recalled telling the crowd at a music venue that he had witnessed the shooting and thought it was unjustified. But Friday, Theodore said he had not made such a public statement. At one point, Theodore attributed his difficulty recalling specific dates and times — and recalling his deposition answers — to heavy drinking. “You have a different memory now from the one in the deposition?” Baumgartner asked. The Nieto trial resumes this week, with testimony expected to continue at least through Friday.